SALAM Illinois: The Farooque Ahmed Case: How Did This Happen? Farooque Ahmed is currently serving a term in Terre Haute connected to terrorism charges. With Ahmed’s arrest and case, arises the conversation about whether Ahmed might have initiated a plot or whether law enforcement officials had proposed the idea to him, as has been suspected in other FBI sting operations involving agent provocateurs and informants. Questions arise: Was Ahmed ever really a threat? Why was he targeted and surveyed by the government in the first place? Did he ever act upon or commit any crime to initially be targeted by the US government? As Ahmed serves his current prison sentence of 23 years, his wife is left without a husband and his two-year old son is left to be raised without his father. In January 2010, the FBI learned that AHMED and an associate were inquiring about making contact with a terrorist organization in order to participate in jihad by traveling overseas to fight coalition forces in Afghanistan and/or Pakistan. I have seen an e-mail received by AHMED and his associate in April 2010, that notified AHMED that he could meet an individual that AHMED believed to be a representative of a terrorist organization at a hotel near the Washington-Dulles International Airport on April 18, 2010. On April 18,2010, FBI agents observed AHMED receive a Koran from another individual in the lobby of a hotel near the Washington-Dulles International Airport. Before AHMED received the Koran, I saw that it contained documents providing code words for locations to be used for future meetings. I saw e-mail messages that indicated, in code, that AHMED planned to meet an individual that AHMED believed to be a representative of a terrorist organization on May 15,2010, at a hotel in Northern Virginia. Does this mean agents of the U.S. government wrote the emails to call for the original meeting? And/or provided the "representative" at the first meeting? And/or provided "documents providing code words for locations to be used for future meetings"? And/or called for subsequent meetings via email? Will we ever know how this whole chain of events was instigated? And how much of it was propelled by FBI encouragement and persuasion? Farooque Ahmed, age 35 and a US citizen, was born in Lahore, Pakistan in 1976. He lived in the United States since 1993. He is the son of two living parents, the oldest of his siblings, and is a husband and a father. His father was a successful banker in Pakistan and was the vice president of his bank and was transferred to the New York branch in 1993. Ahmed’s father brought his family with him where they settled in Staten Island; Farooque Ahmed was a teenager at the time. Ahmed’s parents highly stressed education and he received his bachelor's degree in Computer Science from City University of New York in 2003. 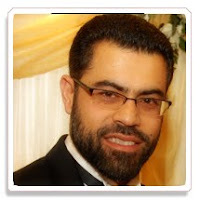 Ahmed moved from Staten Island, New York to Ashburn, Virginia, outside Washington, D.C in 2004 for employment. There he worked for Ericsson, a telecommunications company. At Aspen University, he was also pursuing a masters degree in risk management and data security. In Ashburn Virginia, he resided with his wife from Birmingham, England and his two-year old son. According to the government’s indictment, from on or about April 18, 2010, and continuing through at least on or about October 25, 2010, Ahmed attempted to assist others (undercover FBI agents) whom he believed to be members of al-Qaeda in planning multiple bombings to cause mass casualties at Metrorail stations. It was stated that Ahmed, participated in surveillance and recorded video images of Metrorail stations in Virginia on four occasions, drew diagrams. It is important to note that Ahmed was under the surveillance of US authorities prior this mock operation. During the morning hours of October 27, 2010, Ahmed was arrested by the FBI in Herndon at 9:40 a.m. Wednesday after he was told to come to a meeting where he would discuss his surveillance activities, officials said. He later appeared in U.S. District Court in Alexandria on terrorism charges. Ahmed’s monies and assets in his bank account were also seized by the government. He was to be held in jail without bail. In the US Indictment, Ahmed was charged with three counts: Count 1: Attempting to Provide Material Support to a Designated Foreign Terrorist Organization; Count 2: Collecting Information to Assist in Planning a Terrorist Attack on a Transit Facility; and Count 3: Attempting to Provide Material Support to Terrorists. On October 28, 2010, a “Notice of Intent to Use Foreign Intelligence Surveillance Act Information” by the US government. The United States intended to offer into evidence, or otherwise use or disclose in proceedings information obtained and derived from electronic surveillance conducted pursuant to the Foreign Intelligence Surveillance Act of 1978 (“FISA”). On November 5, 2010 Ahmed’s Defense counsel submitted that a total of approximately five months from arraignment to trial is necessary to effectively prepare for trial. The defense counsel and the counsel for the U.S. agree to set the trial on or about April 12, 2011, under the Speedy Trial Act; the trial was originally supposed to commence by on or about January 5, 2011. On November 9, 2010, Ahmed pled not guilty in federal court. On April 11, 2011 a plea hearing was held. Farooque Ahmed entered a guilty plea where the third count of the three charges was dropped, thus reducing the potential years he faced in prison. In a plea agreement, the defense and government jointly recommended a prison sentence of 23 years in prison for his role in providing material support to a planned terrorist attack and for assisting in planning an attack on several DC-area metro stations. Following the acceptance of the guilty plea, Judge Lee immediately sentenced Ahmed to the agreed-upon term of imprisonment of 23 years followed by an imposed 50-year term of supervised release, with which after his release, must maintain gainful employment, must check in with his parole officer monthly, must receive permission to travel internationally, must not associate with anyone who is associated with an FTO (foreign terrorist organization), his home or place of business can be searched at any time under the discretion of his parole officer and if he chose to have a computer, it must have software that monitors his keyboard strokes. Additionally, Ahmed’s vehicle and assets were forfeited to the US government as a condition of his plea.